At least two additional U.S. Apple stores are closing for renovations next month in a bid to catch up with the company's latest design aesthetic. Apple Green Hills is a relatively cramped space. The Green Hills outlet in Nashville, Tenn. is shuttering on Feb. 11, while Alderwood Mall in Lynnwood, Wash. will halt operations on Feb. 25. Apple hasn't confirmed any other details beyond saying it wants to make the locations "even lovelier." Nashville residents will have to travel to CoolSprings Galleria as an alternative. In the case of Lynnwood, the next closest store is University Village in Seattle. 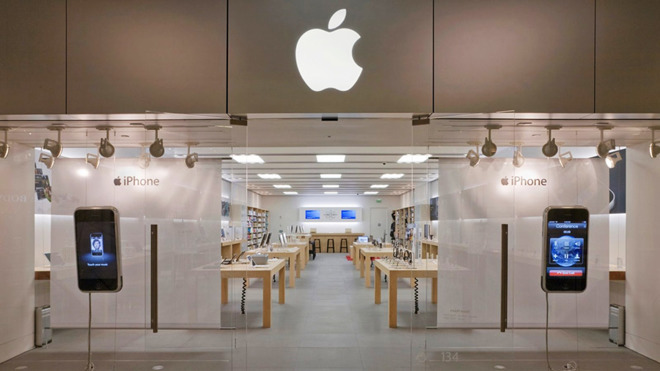 Under Angela Ahrendts, Apple's retail outlets have adopted traits such as wooden shelves, trees, and oversized video displays. Some have dedicated seating for "Today at Apple" events. Many U.S. stores have also had to expand in size to cope with increased foot traffic, particularly those from the early to middle 2000s.